I think I just wrote one of these the other day. Where is the time going? Celia at Fig jam and Lime Cordial hosts this wonderful segment of sharing what’s in your kitchen this month. This month I have these wonderful eggs brought to me by one of my students. They raise their own chickens and have such healthy diets. 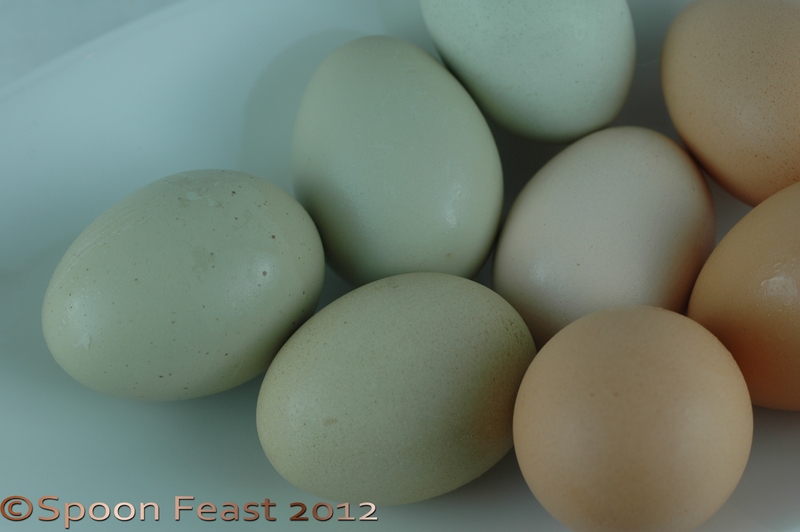 The wonderful thing about these eggs is that the inside of the shells are colored too. I love the way they look and taste. In my kitchen are some lovely flowers my son Tyler sent for my birthday. 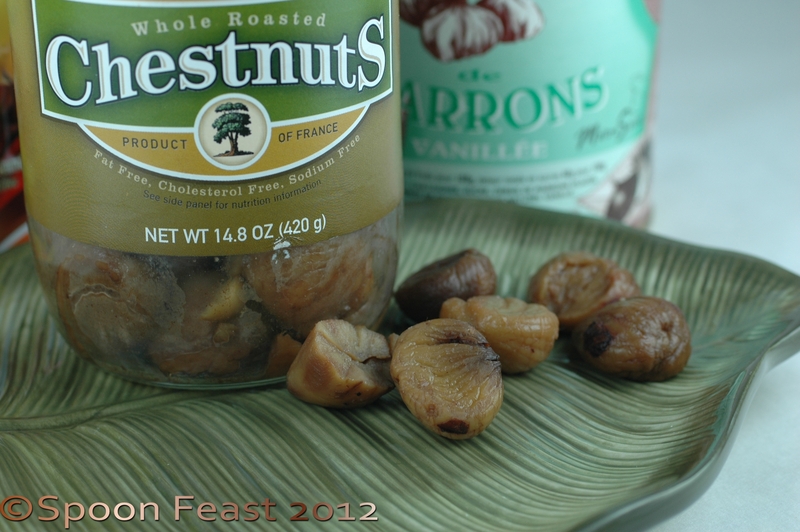 In my kitchen is a fabulous jar of chestnuts! Actually, I’ve gone a bit chestnut crazy. I adore them. Eating them just out of the jar is so easy, I need to be careful not to eat the whole thing. They have around 10 calories each, no sodium unless you add it, fiber, vitamin C, B complex,protein, minerals and a great taste. Last night I sautéed chestnuts with Brussels sprouts. Tasty! Next I’m making a pineapple upside down cake with caramel and chestnuts. And then chestnut stuffing, sweet potato and chestnut pancakes, and chestnut ice cream. I might need more chestnuts. 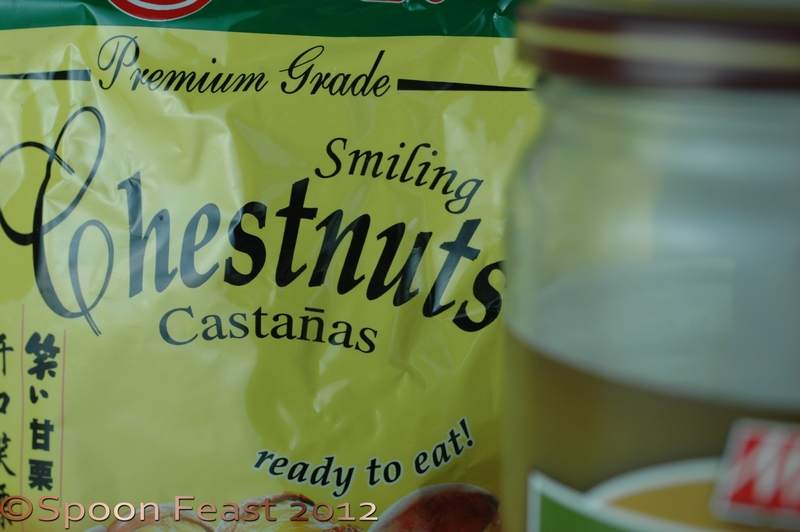 I even have “Smiling Chestnuts!” How great is that?!?!?! The best part is being able to buy them without having to peel them! 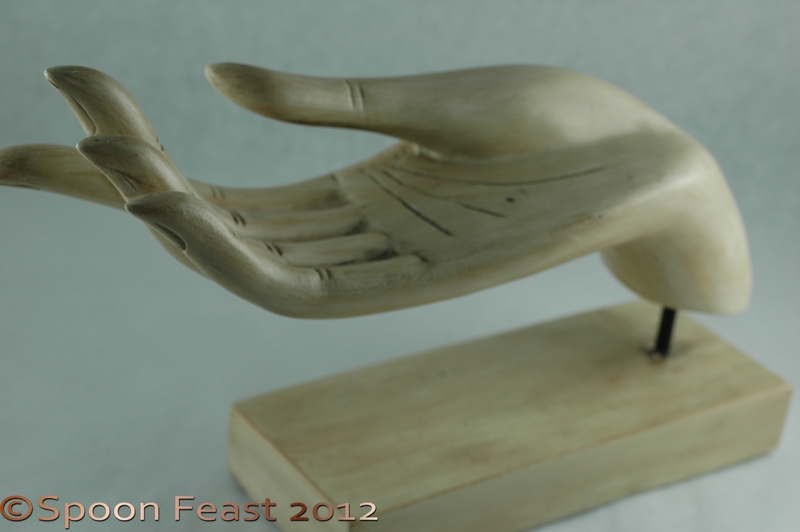 I found this stylized Buddha hand that is perfect for offering beverage napkins. Bev naps are a “thing” I have. I can’t stand a glass sweating all over the table so here is a bev nap for your drink. I have bev naps for nearly every occasion. Our weather is becoming cooler. We sit outside in the late afternoons and evenings sipping cider or wine talking about our days. It is the time of day I enjoy the most. As the days turn colder, it feels so good to wrap your hands around a warm cup of tea and feel the crisp fall air on your face, laughing and talking the evenings away with my wonderful Robert. 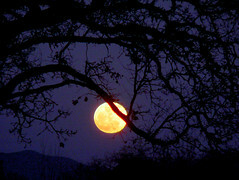 We watch the full moon rise between the big trees and marvel at how fast time is passing. In the meantime, bread still rises, the grill still fires, dishes get used and washed over and over again as we pass through this circle of life. This entry was posted in Building Your Community, Cooking, Cooking Thoughts, In My Kitchen, Recipes and tagged Brussels sprout, Chestnut, chestnuts, In my kitchen, Lime Cordial. Bookmark the permalink. 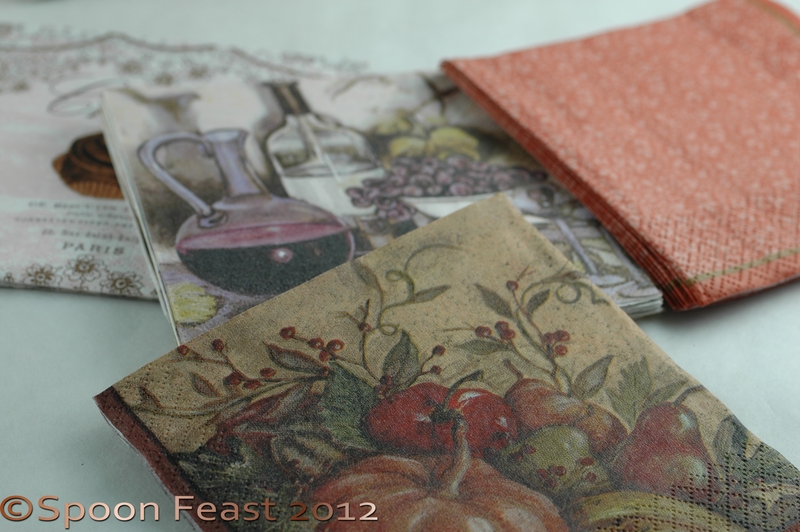 What largesse you have in your kitchen this month! The flowers are beautiful- happy birthday- and what a thoughtful son! Chestnuts already peeled? I love it! The Buddha hand and beverage napkins has me chuckling- I also have a large collection of beverage napkins (for some reason, people keep buying them for me). And I love the picture of the moon. Just. Love. It. Thank you Heidiannie, having chestnuts peeled is such an awesome thing. Much like peeled fava beans! Peeling any of them once develops great appreciation. Flowers are my second best love! Thanks my friend! I asbsolutely love that napkin holder. I have never seen anything like it. Where did you buy it??? Can I get one online. I have two chestnut trees so I will come back next year for all your recipes. It is so good to eat from chickens you know have been treated will. Glenda, the hand was found in a home decor store. I have only seen one other so when my little eye spotted it, it leaped into my cart. How lucky you have chestnut trees! Love this post and the pics! Awwww, I love sitting out at sunset with you too! 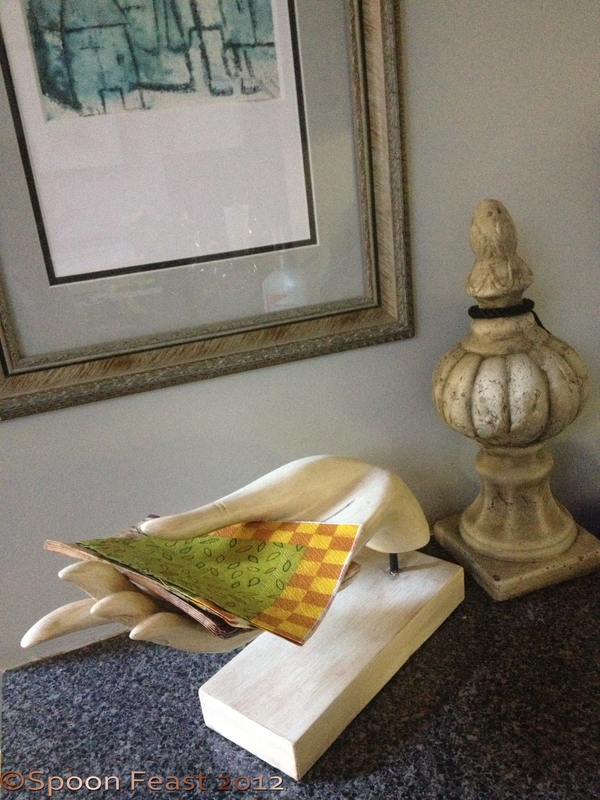 Ooh what a gorgeous napkin holder! 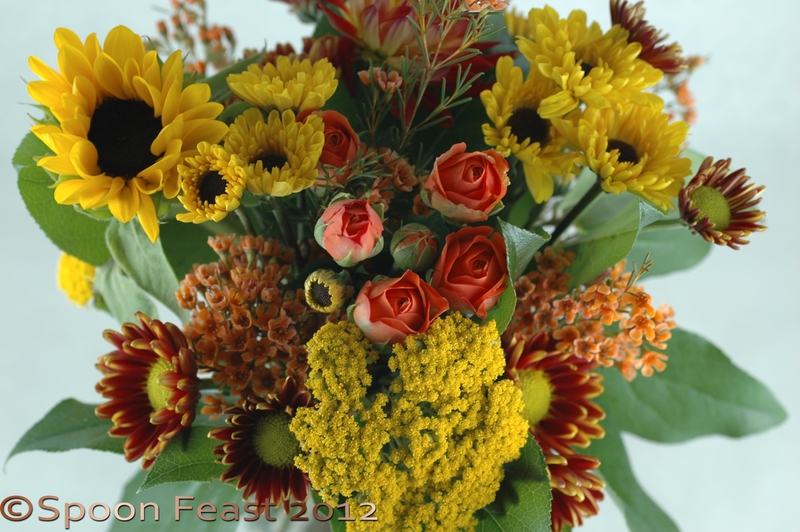 Happy Birthday – your son sent you beautiful flowers. 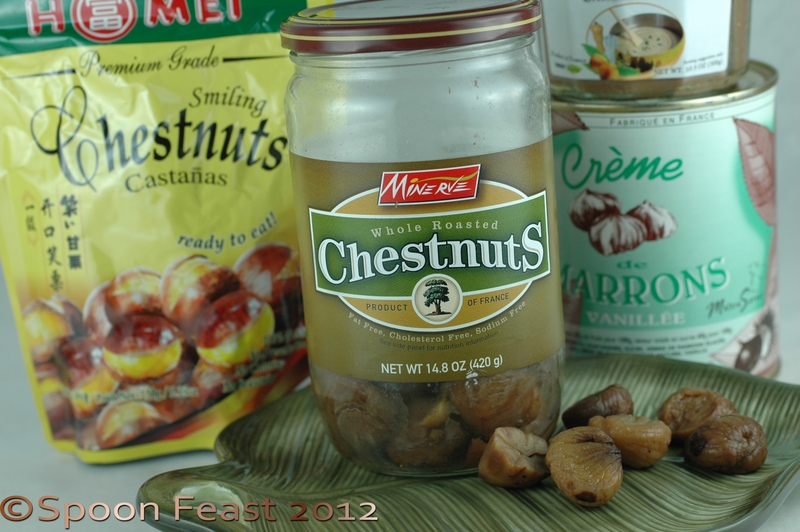 oh my, I love all the things you plan to do with chestnuts…and yes, getting them already peeled is a real delight!